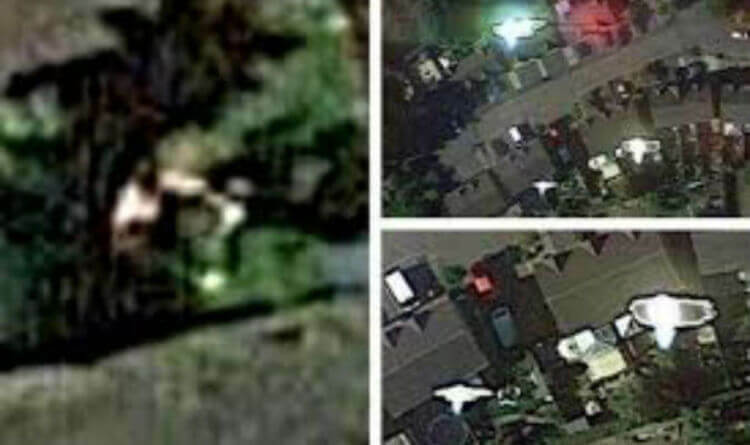 The alleged galactic kidnap victim claims the moment he was “punched in the face by an alien” before the abduction, was caught by a satellite camera and can now be seen by all on the Google website.John Mooner, a self-styled UFO expert from Torquay in Devon claims to have had a number of alien and UFO encounters, with the alleged abduction being the most bizarre.And, he claims he later found the terrifying experience, including the alien hitting him, on Google Earth.Mr Mooner claims he cannot remember the incident after the ET struck him in the face in a street in the west country town.He said he found the incident recorded on Google Earth after trying to locate the area of “the attack”.He told the Torquay Herald: “The satellite image clearly shows me trying to fight off the grey alien by punching it in the face. John Mooner claims these images show his abduction by aliens in Torquay, Devon. John Mooner claims this image shows him wrestling with an alien in Torquay, Devon. Readers of the Torquay Herald are not convinced by his shocking claims. But, Mr Mooner is one of a number of people recently to make outlandish abduction claims.